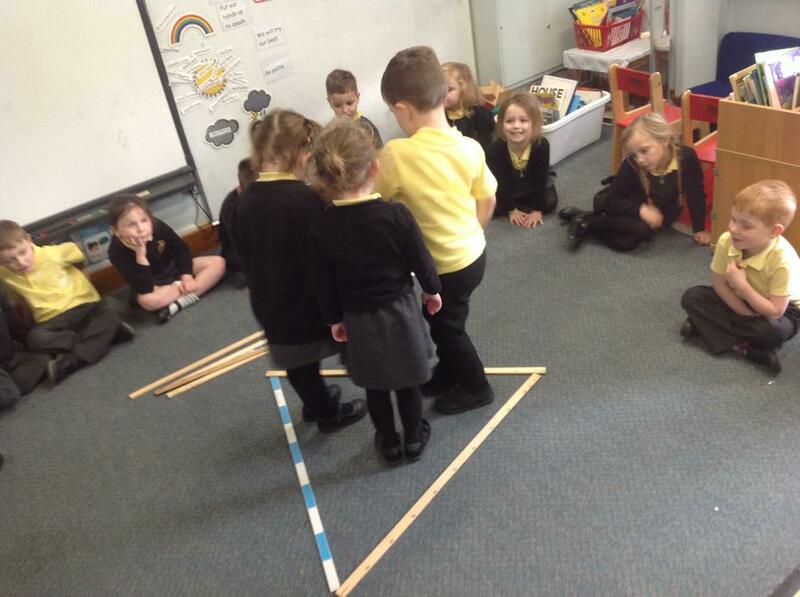 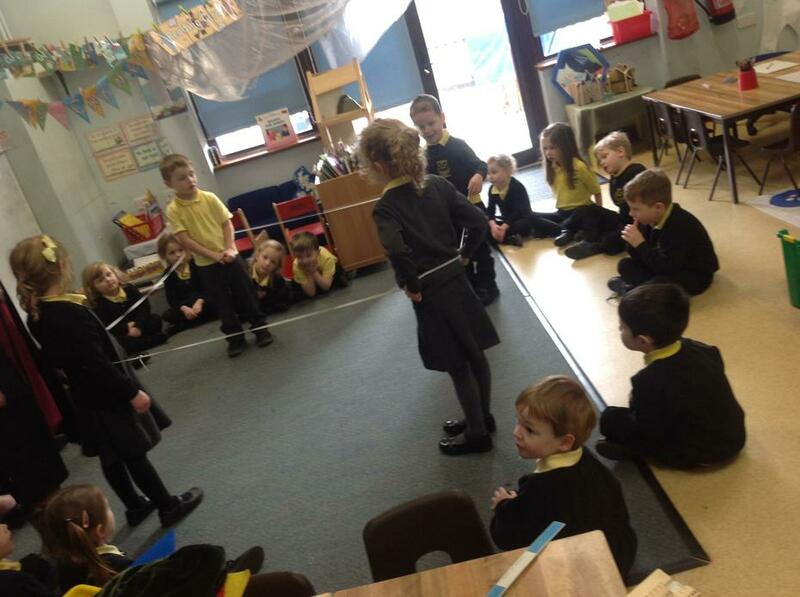 We had fun learning about the properties of 2D shapes by playing some shape games during our Explore Maths lesson. 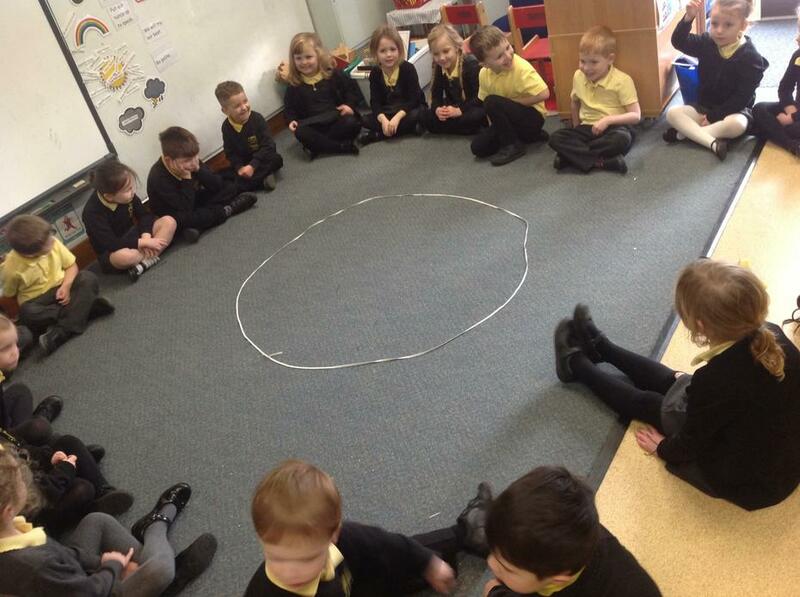 We practised remembering the names and properties of the circle, square, triangle and rectangle (oblong). 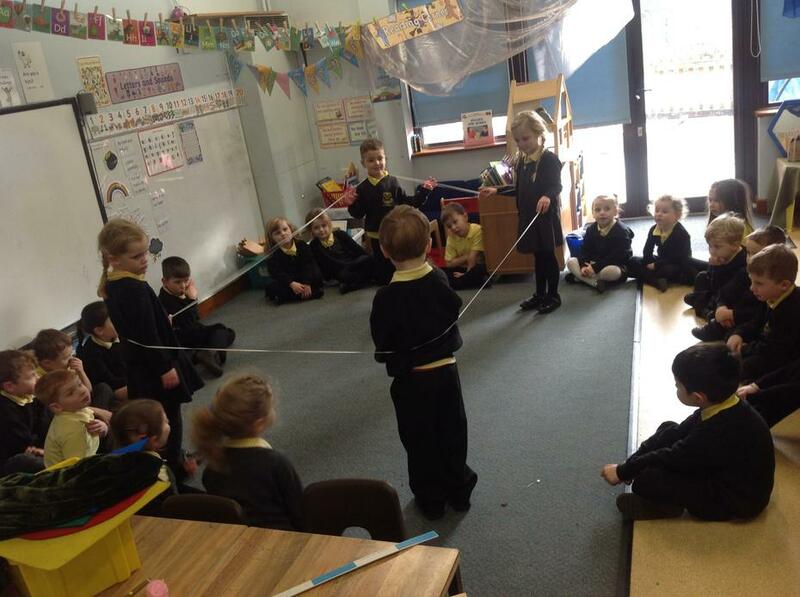 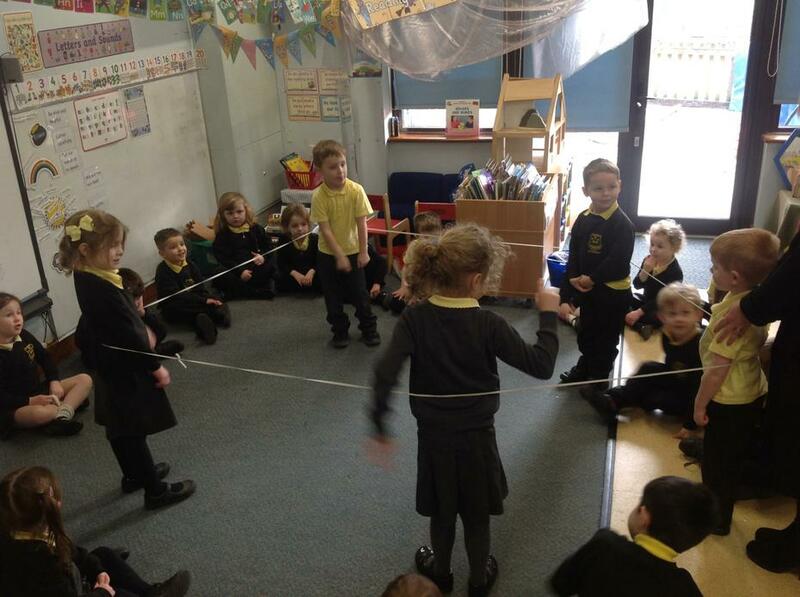 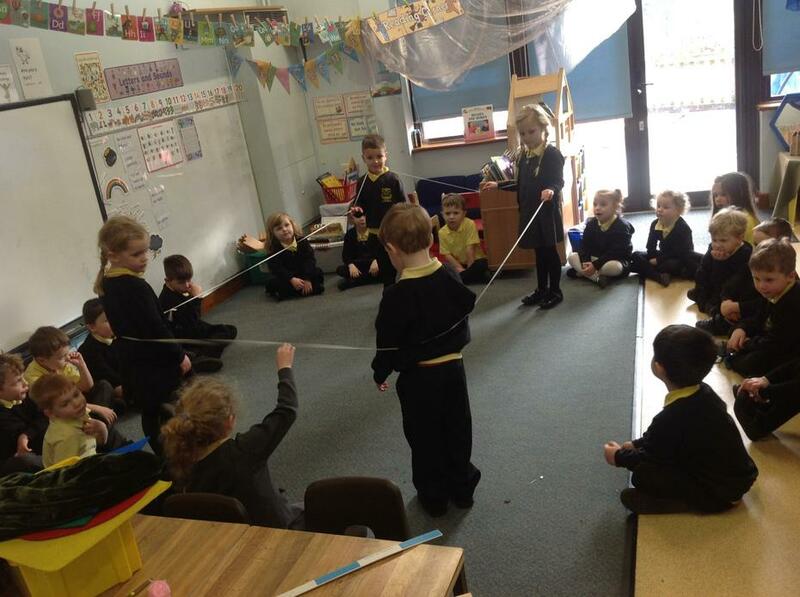 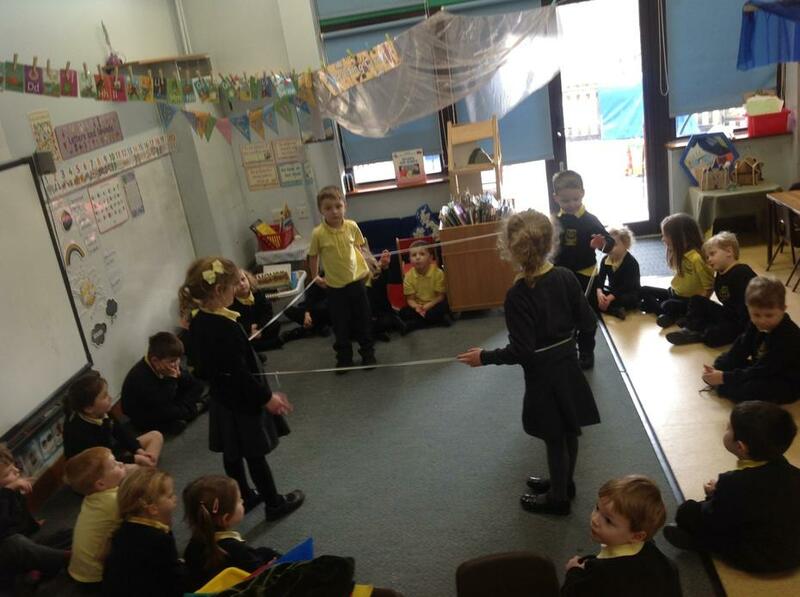 We ran to the shape called or described and we acted as corners to make the shapes out of elastic. 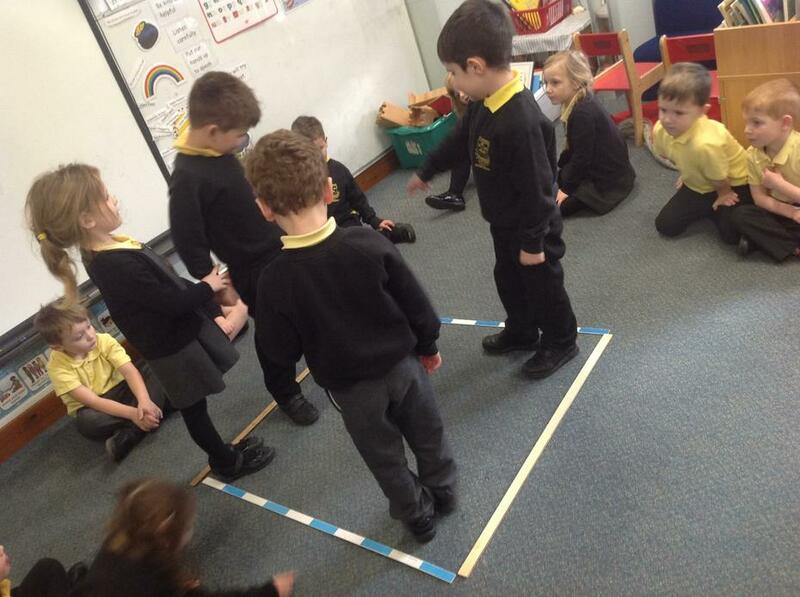 We used long rulers to make the straight sided shapes.